Sweden has long enjoyed a reputation for moderation and balance, but is its political landscape about to change dramatically with Sunday’s election, the tightest race in decades? The anti-immigration Sweden Democrats are on course to become Sweden’s second-biggest party, after a campaign that has focused on migration and integration. 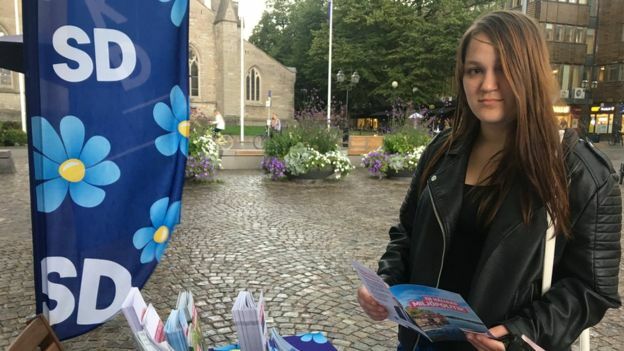 “They have the most things that are right for me… they’re for Swedes,” says first-time voter Sandra Sundstrom, 18, as she stops at a party stall in Orebro, central Sweden.